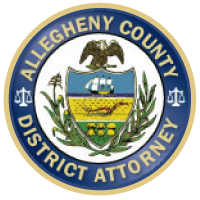 The Allegheny County District Attorney’s Office Domestic Violence Prosecution Unit, prosecutes cases involving current or former sexual or intimate partners who engage in criminal conduct of a threatening, intimidating or physically violent nature. The District Attorney of Allegheny County is committed to prosecuting domestic violence crimes vigorously, with the safety of domestic violence victims as our primary concern. Domestic violence is the most under reported crime in America. Domestic battering tends to increase and become more violent over time. Estimated total annual medical cost of domestic violence in Pennsylvania was $326.6 million. 39% of all female victims of homicide in Pennsylvania were victims of domestic violence. Ensuring cases are not withdrawn or dropped simply due to victim reluctance, but are pursued based on the facts of the case and law. Assistant District Attorney’s will make decisions on how to proceed in consultation with the police and victim input. Monitoring of the defendant’s compliance with all conditions of bond and probation; such as an order of no contact, failure to comply with counseling and commission of new crimes. The Domestic Violence Prosecution Unit consists of 3 trial attorneys and 2 paralegals. The telephone number is (412) 350-4406.